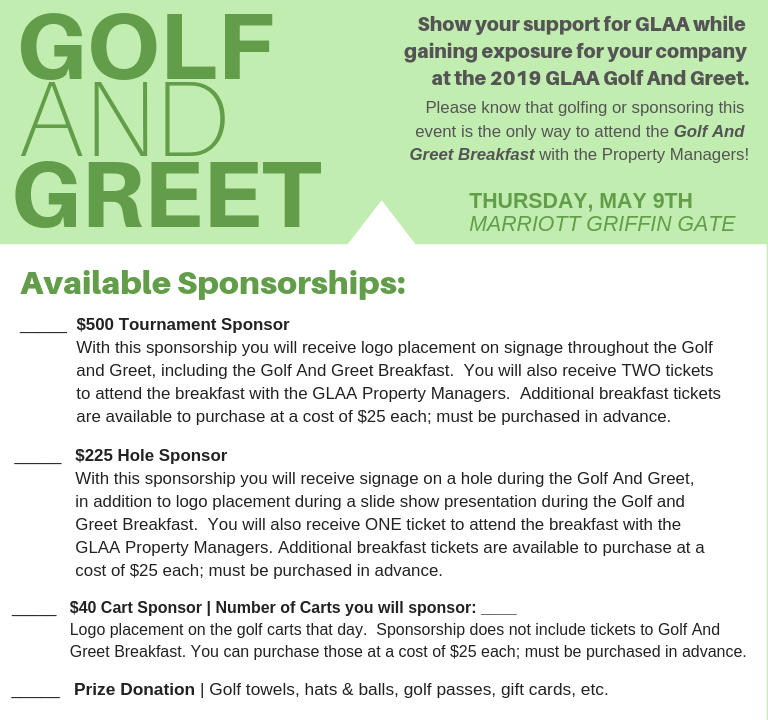 Sponsor the GLAA Golf and Greet! Be a sponsor of this super fun day on the golf course! I would love to be a Sponsor! | I have selected by option below. $500 Tournament Sponsor $225 Hole Sponsor $40 Cart Sponsor Prize Donation | Golf Towels, hats, balls, gift cards, etc. Bill Me Will call office to pay via VISA/MC/DISC/AMEX.